All services will be held at Manhattan Day School 310 West 75th St.
High holiday reservations, click here. Please click here for Kapparot. Break-Fast is being Sponsored by Miriam Prince to honor the memory of her beloved and sorely missed, blessed parents, Nathaniel Theodore (Noach) and Ethel (Etel) Prince, alehém hashalóm. 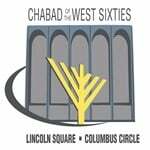 5:45 PM Mincha and Tashlich Service at Riverside Park at 72th st.